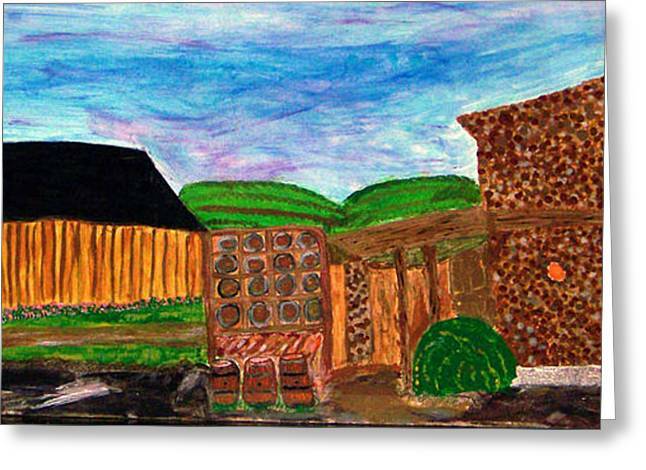 Spring Day At Page Mill Winery Mural is a painting by Maggie Cruser which was uploaded on January 12th, 2010. This Painting took about six months to complete. This painting has a lot of layers. I used dfferent types of matting to give a reai effect on the painting in geneeal. This Winery is located about 5-6 mile on from downtown Livermore. In my opinion the have a great tasting pinot , shh it's secreat it's a small winery. There are no comments for Spring Day At Page Mill Winery Mural. Click here to post the first comment.